Don’t miss the chance to enter the Sistine Chapel as a VIP! With our privileged access to the Sistine Chapel, you’ll have the chance to admire Michelangelo’s masterpiece with a few other lucky people 15 minutes before anybody else! • Daily departures except on Sundays and religious holidays. Blackout dates: 29th June, 15th August, 1st November, 8th and 26th December, 6th January, 11th February. Don’t miss the chance to enter the Sistine Chapel as a VIP! 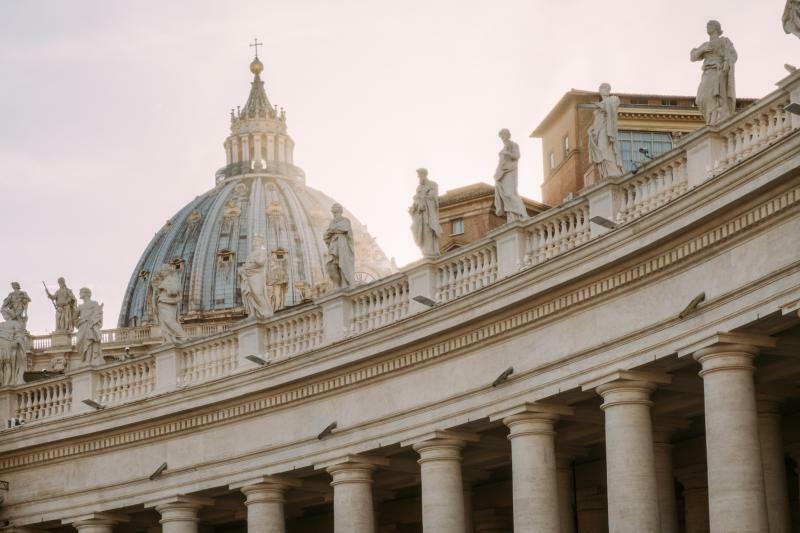 With our privileged access to the Sistine Chapel, you’ll have the chance to admire Michelangelo’s masterpiece with a few other lucky people 15 minutes before anybody else! With our tour, you will also have the chance to admire a special area of the Museums, The Bramante: this masterpiece is normally closed to the public and with us, you will benefit of this extraordinary opening! Live a once in a lifetime experience, admiring the Sistine Chapel before anybody else with our exclusive Partner’s Early Access. You will visit the Bramante Staircase (extraordinary opening) and St. Peter’s Basilica with no line at the entrance.